It’s the first major release date revealed this year, but SoundScan watchers will have to wait until May to see a sales boost. 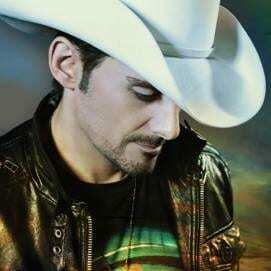 Reigning CMA Entertainer of the Year Brad Paisley is slated to release his new album, This Is Country Music, on May 24 via Arista. Paisley once again teamed with longtime producer Frank Rogers for the upcoming release, which will be his first all-new studio album since 2009’s acclaimed American Saturday Night. In between studio efforts, he also released Hits Alive in November 2010. The lead single and title track is already a hit at radio, climbing to No. 4 on MusicRow’s Country Breakout chart this week. The digital single for “This Is Country Music” is available, and fans who pre-order the album for $9.99, will also receive an immediate download of the single. In addition, pre-orders will entitle purchasers periodic access to exclusive content. Amid work on the new album, Paisley is currently headlining his H2O Frozen Over Tour. Paisley has proven to be a consistent hitmaker, with 18 No. 1 singles to his credit (including the last 14 in a row) and career sales in excess of 12 million albums.